Exhibit Columbus has named the winners of the inaugural J. Irwin and Xenia S. Miller Prize Competition. 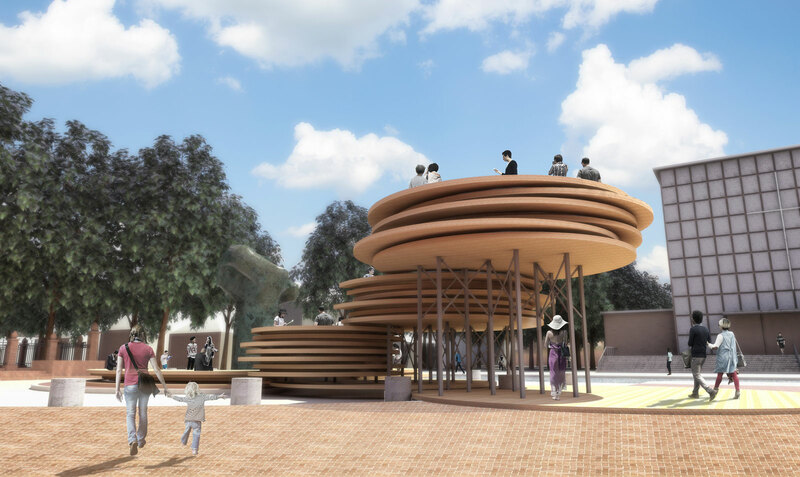 The winning proposals will be constructed as five installations spread across Columbus, Indiana, the small town two that is home to dozens of modernist masterpieces. 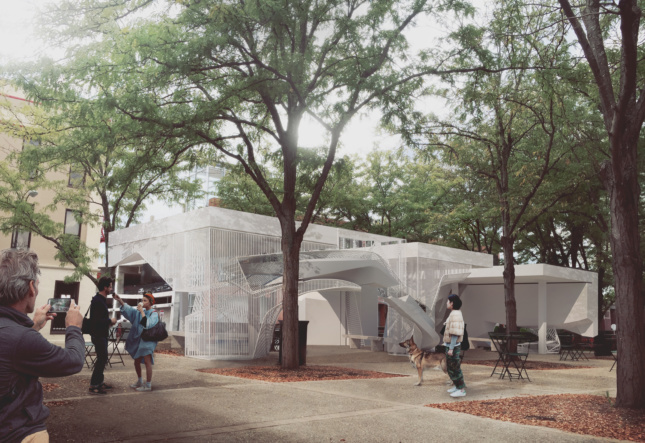 The installations will be one of the main attractions at the 2017 iteration of Exhibit Columbus, a new yearly event which connects contemporary architecture with the city’s storied design past. A two-part architectural event, the inaugural symposium of Exhibit Columbus was held in the fall of 2016. The inaugural exhibition, which will include the installations, will open on August 26, 2017. The copper-clad form takes cues from the dwellings of the Miyaamia, the indigenous people of central Indiana. 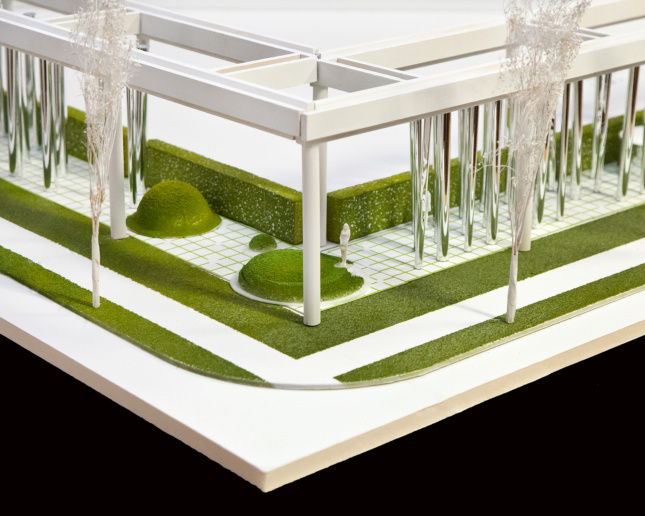 It will sit near the Saarinen and Saarinen-designed First Christian Church. Situated across the street from the First Christian Church, in the Plaza of the I.M. Pei-designed Cleo Rogers Memorial Library, Conversation Plinth plays off the conversation pit in the famed Eero Saarinen-designed Miller House, also located in Columbus. 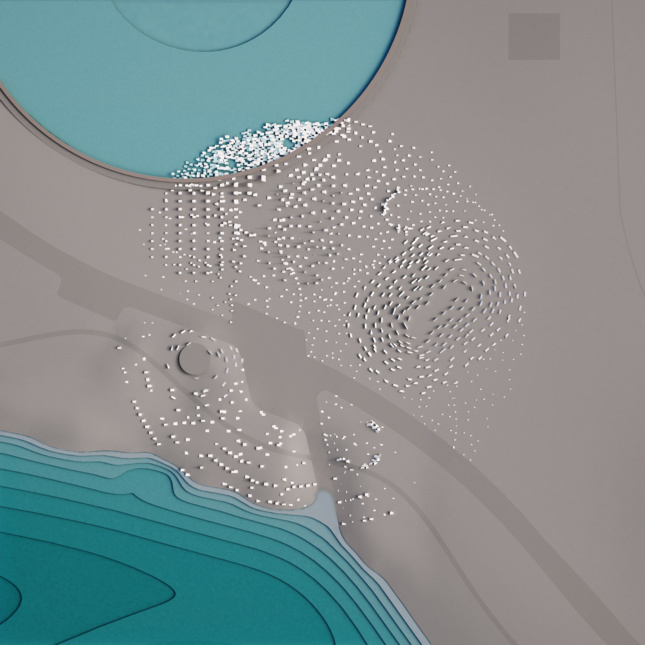 The project takes on Euclidean geometries, solid/void relationships, and tectonics to complete the implied spaces formed by the canopies of the Eero Saarinen-designed Irwin Conference Center. Built on the grounds of the Keven Roche John Dinkelloo Associates-designed Cummins Corporate Office Building, Anything can happen in the woods works with the sites existing colonnade to produce a forest of reflective columns. Constructed in the Michael Van Valkenburgh-designed Mill Race Park, Another Circle brings 2,800 pieces of salvaged Indiana limestone into a 3.5-acre Stonehenge-like circle. The epic piece will tie together a pedestrian trail, the nearby river, and the park’s lake. The jury for the Miller prize consisted of Sean Anderson, associate curator in the Department of Architecture and Design, Museum of Modern Art, Lise Anne Couture, co-founder and principal, Asymptote Architecture, Jennifer Dunlop Fletcher, Helen Hilton Raiser Curator of Architecture and Design, San Francisco Museum of Modern Art, and Dung Ngo, publisher, August Editions. 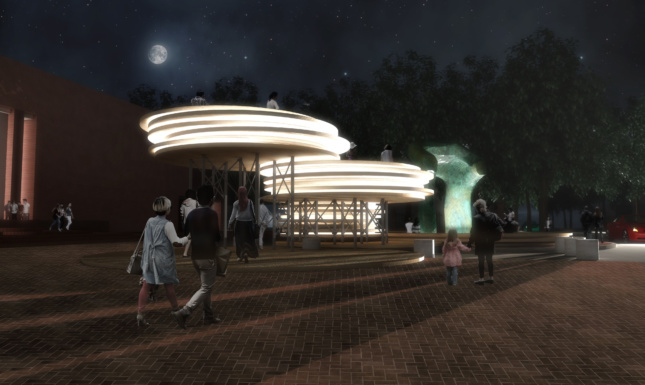 The installations will be joined by 10 other installations by international designers and Midwest architecture and design students. Along Washington Street, in Columbus’s Downtown, five international galleries have each chosen one of the design practices they represent to participate in the event. Those galleries and designers include; London’s Dzek gallery, with designers Studio Formafantasma, Copenhagen’s Etage Projects, with designers Pettersen & Hein, Brussels’s Maniera gallery, with designers Productora, New York’s Patrick Parrish Gallery with designer Cody Hoyt, and Chicago’s Volume Gallery with designers Snarkitecture. The university participants will build installations on the grounds of the Ralph Johnson-designed Central Middle School and the Gunner Birkerts-designed Lincoln Elementary School. The universities involved will be Ball State University College of Architecture and Planning, The Ohio State University Austin E. Knowlton School of Architecture, University of Cincinnati School of Architecture and Interior Design University of Kentucky College of Design, School of Architecture, and the University of Michigan Taubman College of Architecture and Urban Planning. 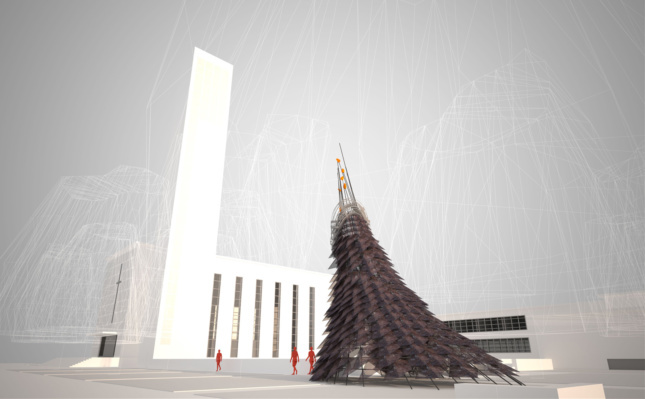 Students from the Indiana University Center for Art + Design will also create an installation with the help of a designer-in-residence at the Eero Saarenin-designed North Christian Church.